After the Parliament rejected for the third time Prime Minister Theresa May’s proposed deal to pull Britain out of the European Union on Friday, pressure was put on the sterling. The currency remained well above lows hit in December, in part because “markets have begun to price in a long delay and that’s risk and sterling positive,” said Greg Anderson, global head of foreign exchange strategy at BMO Capital Markets. The GBP’s movement led the dollar index higher, last up 0.07 percent to 97.274, helping it recover from an earlier drop on the weaker-than-expected report of U.S. inflation data. Bloomberg reports that everyone is getting ready to attack Sweden’s currency, including investors and the country’s leaders. • a business federation has accused the central bank of effectively devaluing the currency. 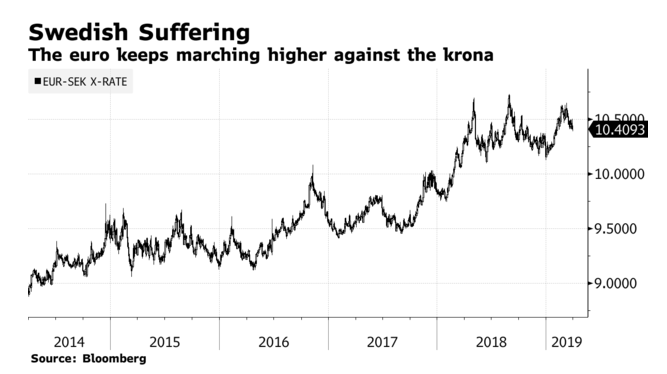 The krona is the worst-performing major currency this year, although strategists picked it as a world beater for 2019. Still, they began withdrawing their predictions after weak Swedish data. On Friday, oil prices rose about 1 percent, having their biggest quarterly rise in a decade, as U.S. sanctions against Iran and Venezuela and OPEC-led supply cuts overshadowed concerns over a slowing global economy. 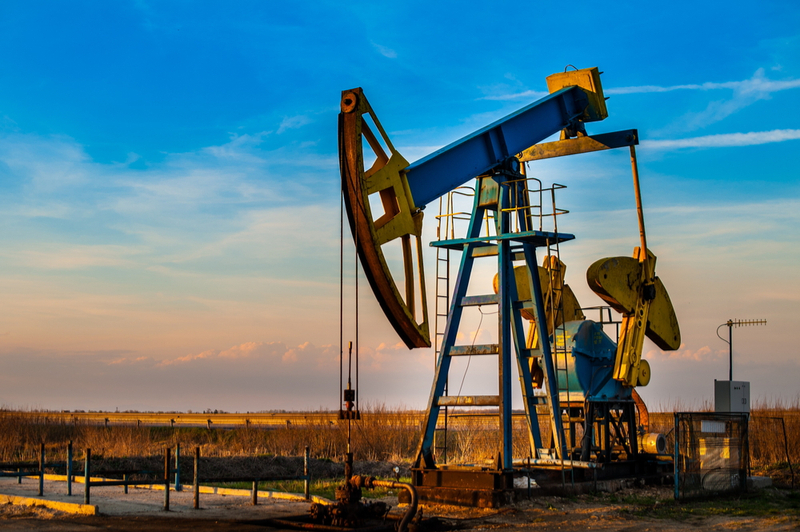 The May Brent crude oil futures contract, which expired Friday, gained 57 cents, or 0.8 percent, to settle at $68.39 a barrel, marking a first-quarter gain of 27 percent. The more-active June contract settled at $67.58 a barrel. • following past week's supply decline, at 1.107 trillion cubic feet (Tcf), natural gas inventories are 551 Bcf (33.2%) under the five-year average and 285 Bcf (20.5%) below the year-ago figure. On Friday, gold prices finished higher, just a day after it had posted the largest single-session percentage decline since Aug. 13. June gold GCM9, -0.16% gained $3.20, or 0.2%, to end at $1,298.50 an ounce. For the quarter, the precious metal rose by about 1.2%, but bullion posted a weekly decline of more than 1% and slipped by about 1.4% month to date, according to FactSet data. The commodity failed to close above $1,300, a price seen as a key technical level, according to MarketWatch.com. Stocks rallied into the close as optimism over U.S.-China trade talks seemed to overshadow the concerns about a slowing economic explosion. 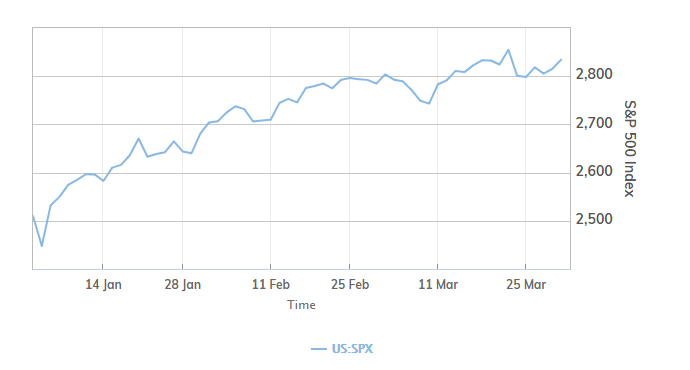 The session was marked by the S&P 500 performance, as the index had its best quarterly performance in nearly a decade. • Nasdaq Composite Index COMP, +0.78% advanced 60.16 points, or 0.8%, to 7,729.32. DJIA, +0.82%. On Friday, European shares rose, heading for best quarterly performance in four years, helped by encouraging signals from U.S.-China trade talks and a surge for the world’s second-biggest apparel retailer, H&M. • Germany’s trade-sensitive DAX was up 0.3 percent. Facebook ’s (FB) Instagram app recently launched a Checkout feature that allows users to buy products and services directly. That’s good news for the rates Instagram can charge for ads, argues Evercore ISI, especially since many are abandoning the flagship social-media site. Therefore, Facebook’s other properties have taken on increased importance, and none has been as fruitful as Instagram, which surpassed one billion users last year. Last week, Apple (AAPL) made a big, and unexpected service product announcement called Apple News+. Now, on the surface, this new service has virtually no competition, but it provides a much needed and rich content experience, for those who like to read. In comparison to having an annual subscription with premium-tier services like the Wall Street Journal and also the Los Angeles Times, that would cost around $8,000 per year (according to Finance.Yahoo.com), Apple News+ is very affordable. Amazon (AMZN) announced an expansion of its Austin Tech Hub which would lead to the creation of 800 new tech jobs in fields such as software and hardware engineering, research science, and cloud computing. Together with its customer fulfilment facilities, Amazon has created more than 22,000 full-time jobs in Texas and since 2011 has invested over $7 billion in the state, including infrastructure and compensation to its employees. Netflix (NFLX) dominates the premium video-streaming market. It began the year with 138.26 million paying accounts worldwide, and by the end of last weekend, the platform expects to reach 148.16 million streaming members. Image: Key financial metrics for Alphabet (GOOG) and Baidu (BIDU). Sources: Finance.Yahoo.com, S&P Capital IQ, company filings. Sources: Reuters.com, Bloomberg.com, SPGlobal.com, Nasdaq.com, MarketWatch.com, Barrons.com, Finance.Yahoo.com. The information presented herein does not constitute and does not intend to constitute Investment Advice. 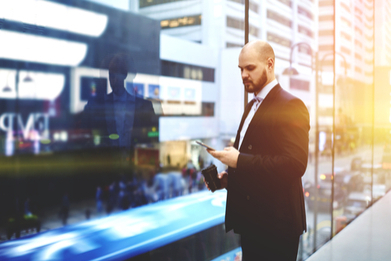 The information contained herewith is a compilation of public stock recommendations issued by various financial analysts and organised by Live News Recommendation in an easily presentable format, for information purposes only. Key Way Investments Ltd does not influence nor has any input in formulating the information contained herein. The content herewith is generic and does not take into consideration individual personal circumstances, investment experience or current financial situation. Users/readers should not rely solely on the information presented herewith and should do their own research/analysis by also reading the actual underlying research. Users/readers should also consider the risk of encountering significant losses when trading CFDs. Therefore, Key Way Investments Ltd shall not accept any responsibility for any losses of traders due to the use and the content of the information presented herein. Past performance is not a reliable indicator of future results.